Which inflatable is best for your home or business? When you're searching for an inflatable bouncer online, it's difficult, and to the same extent get stunned by the sheer selections. 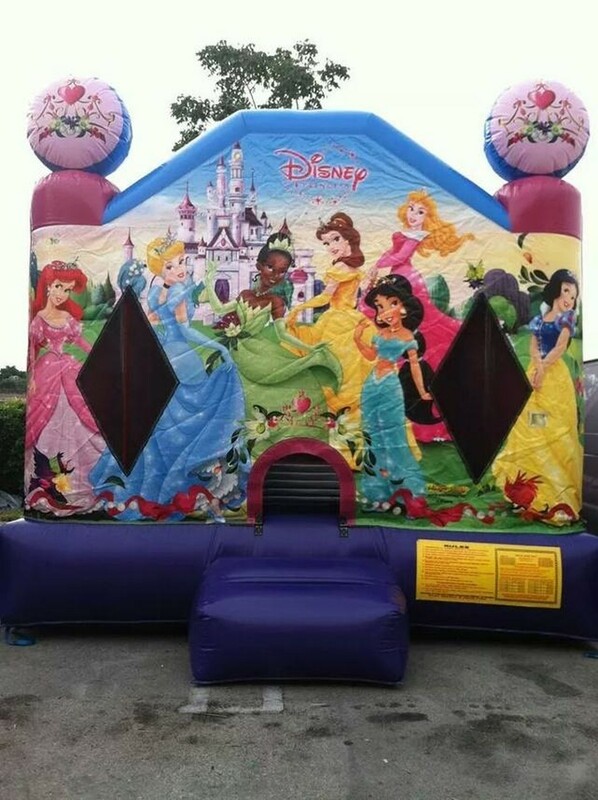 We've picked the most recognized bounce houses or inflatables that Nicky’s Party Rental has for you, so you have the bounce house you'll need and which bouncers are incorrect for you! Indoor bounce houses are smaller than conventional bouncers and have a small jump zone to give them an opportunity to fit inside houses. With their little jump zones, these bounce houses are best for small children or small parties. But if you want to take them outside, then we offer these bits of advice. Constructed of a lighter material than commercial bouncers indoor bouncers should be used indoors. Built of heavy-duty nylon for the areas where no one jumps and reinforced with PVC for the area where people jump and is the same material used of business bouncers, but, the real nylon can tear if pushed beyond its limits. You want to set up your indoor bounce house outside, you must add security features before setting up outside and set out a thick covering underneath to keep safe or clean. Precaution tip, bouncers in rain or windy climate need to take down; because of their lightweight, they are in danger of being blown away. Set up bounce houses on a thick tarp to avoid scratches, and they still need to be tie down before use. Because of the added strength in standard-sized bouncers, they support more children than their smaller, indoor counterparts. The standard inflatable is the same as indoor bouncy houses yet composed of a stronger material for better support. For example, the edges, the entrance, and along the creases. Standard-sized bouncers are bigger and heavier than indoor bouncers because of the heaviness of more grounded materials. Set it up on a thick canvas to resist scratches or scrapes and secured it with tie downs before usage. Additional, because of the quality in standard-sized bouncers, they support more people at the same time. Made of stronger material than indoor bouncers inflatable obstacle courses have reinforcement in the bounce area and along the seams to tolerate playing kids. Inflatable courses are incredible for occasions that will have teenagers or adults. 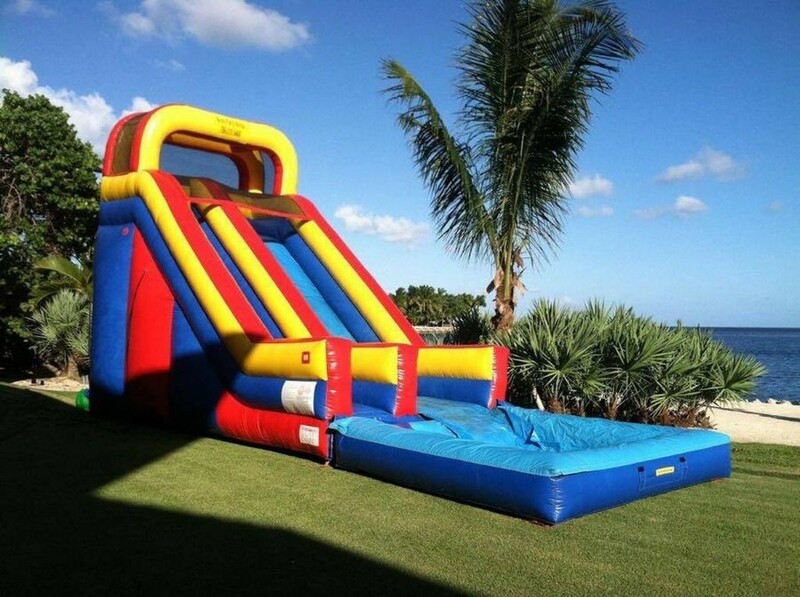 These inflatables incorporate highlights, for example, climbing walls and slides. They are a perfect match for business since they are an awesome approach to offer new and exciting things to see to keep customers interested. Inflatable water slides are the same as inflatable obstacle courses; constructed of a durable material similar to the indoor bouncers but have more support to withstand rough play. The best attribute of water slides is they use water. Unlike normal bouncers, which can be hazardously when wet. Built with better texture and features that prevent accidents. Water slides have various highlights, including water slides, smaller slides, and pools. Ideal for sweltering summer climate and delighted for all ages. Also, for home use, there are water slides that come with a pool that easily fit in your backyards! The negative part about inflatable water slides is that they are harder to disassemble than with standard bouncers. Waterslides ought to be dry before they are put away to counteract mold development. Fortunately, the method is just a couple of minutes and it won't keep you from making the most of your inflatable water slide throughout the entire summer. Business bounce houses are made for everyday use, set-up and disassemble doesn’t damage the inflatables. These bouncers weight more and easily can be used for big events like carnival events or church festivities. If you want a commercial inflatable for business use, you should put resources into just business bouncers with a specific to hold up to the requests of your business clients. The size and design are amazing from an assortment of colors and the size of some inflatable reach an amazing 30 feet tall.